The new Basil Lemon&Honey Goat Milk Soap is now available in the online store! This is a one time only, special soap. 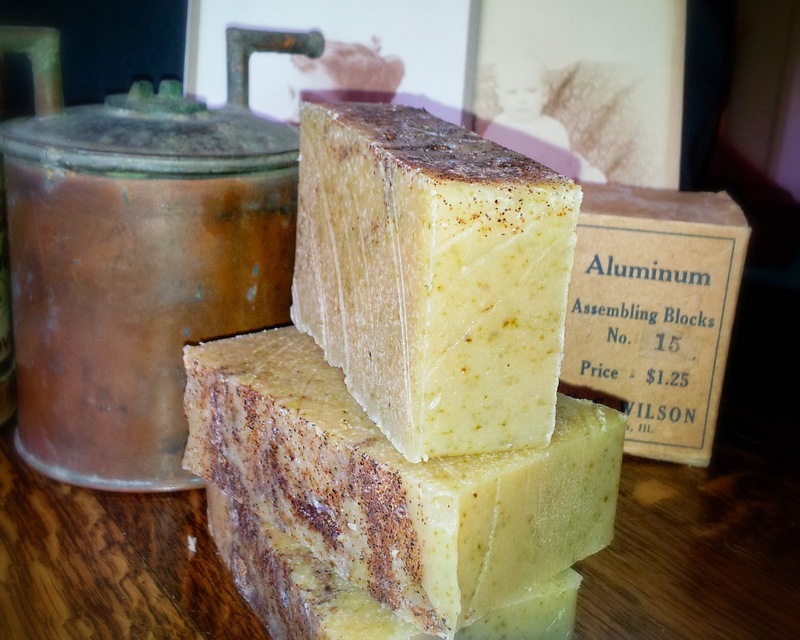 Every once in a while we like to experiment and make new types of soap. These soaps are handcrafted in small batches and offered at special prices for a limited time--until they are gone! Made with lemon verbena and delicately scented with basil, clove, and lemongrass, the Basil Lemon&Honey is an exceptional goat milk soap! Lemon verbena is a wonderful plant for skin care. It refreshes, tones and is rich in natural oils. This exquisite soap is sprinkled with ground walnuts to provide for gentle exfoliation of the skin and honey to soften even the roughest areas. Pick up a few bars now while they last and remember, free shipping on orders $20 and over!